Laura Stolboshinskaya joined the firm in the spring of 2016. 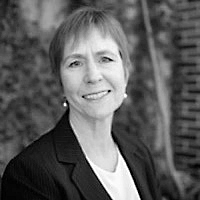 Prior to joining the firm, Laura held positions in accounting at Shambhala Publications and in investment operations and accounting at Pentagram Investment Partners. Laura graduated from Riga Technical University in her home country Latvia with degrees in Economics and Applied Mathematics. Rebecca Hutchinson joined the firm in the summer of 2017. Rebecca graduated from Tufts University in 2017 with a B.A. in International Relations and Peace and Justice Studies. 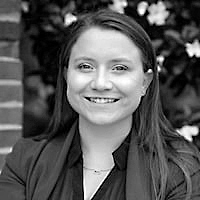 During her undergraduate studies, Rebecca interned with the Massachusetts Immigrant and Refugee Advocacy Coalition, the Spanish Commission to Aid Refugees, the Massachusetts Executive Department of Housing and Community Development, and Boston Collegiate Charter School. She also volunteered as an ELL teacher in the Somerville/Medford communities. During her junior year, Rebecca spent a semester in Madrid, Spain studying Spanish language and culture. Sarah Sullivan joined the firm in the summer of 2018. Sarah graduated from Boston College in 2018 with a B.A. in History and Psychology. During her time at BC, she completed extensive independent research on the American South during the Reconstruction era and volunteered as a tutor at the Commonwealth Tenants Association, an after school program positioned within a housing development in Brighton, MA. In the summer of 2017, Sarah interned with the Massachusetts Department of Correction’s Strategic Planning and Research Division. During her junior year, Sarah spent a semester in Melbourne, Australia studying criminology and history. 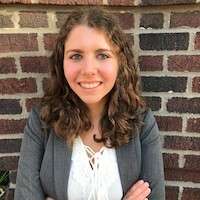 Alexandra Gwillim joined the firm in the summer of 2018. 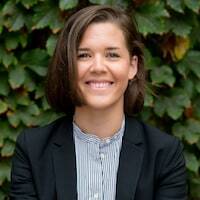 Alexandra graduated from Bates College in 2018 with a B.A. in Politics with a concentration in Philosophical, Literary and Legal Studies, and a minor in Women and Gender Studies. 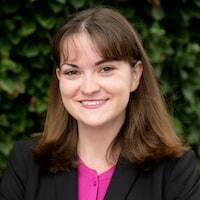 She wrote her senior thesis on bureaucratic behavior in the Social Security Disability Insurance eligibility process. As an undergrad, Alexandra was President and Co-Founder of the Pre-Law Society, President of She’s the First, and Treasurer of the Filmboard. She interned with the Maine Prisoner’s Advocacy Coalition, Maine Volunteer Lawyers Project, and the Lewiston District Court. During her senior year, Alexandra spent a semester abroad studying sexuality politics in Brazil. Victoria Campbell joined the firm in the summer of 2018. Victoria graduated from Dartmouth College in 2018 with a B.A. in Psychology and Religious Studies. While at Dartmouth, Victoria was an executive member of The Dartmouth Subtleties, an all-female a cappella group, served as the Registrar of her sorority, Kappa Kappa Gamma, and participated in the DREAM Program as well as Dartmouth’s Native American Program. During her junior year, Victoria spent a semester abroad in Rome, Italy where she studied Italian language, culture, and history. During her senior year, she spent a semester abroad in Edinburgh, Scotland where she studied the origins of Christianity in the U.K. and the history of the production of the bible in England and Scotland.